The new Samsung Gear S3 launches in the US this week, there will be two models available the S3 Classic and S3 Frontier. 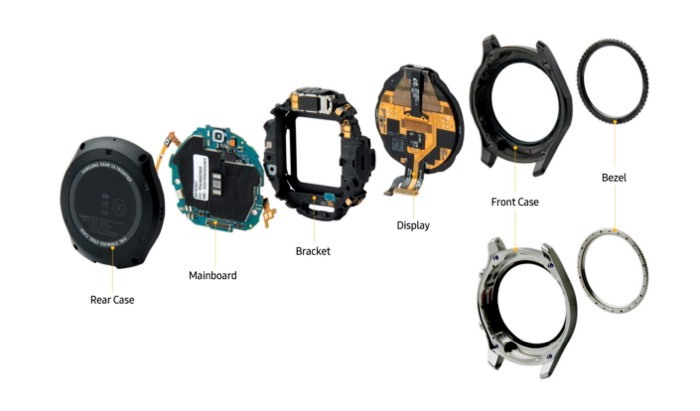 Samsung has released some photos of their new Gear S3 Smartwatch to show us exactly what is inside the device and how it is constructed. Bringing together the art of analog watchmaking and mobile innovation, the Gear S3 is a device that has a premium design, standalone connectivity and a slew of life proof features. To incorporate these functions and features, designers and engineers had to embed numerous pieces and parts into the elegant 46mm x 49mm x 12.9mm body of the Gear S3. 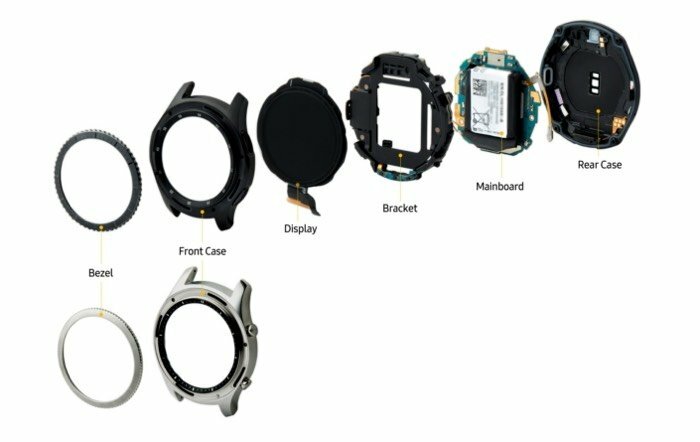 Here’s a closer look at some of the major components that make Samsung’s latest smartwatch “tick”. You can find out more details about the new Samsung Gear S3 smartwatch over at Samsung at the link below.